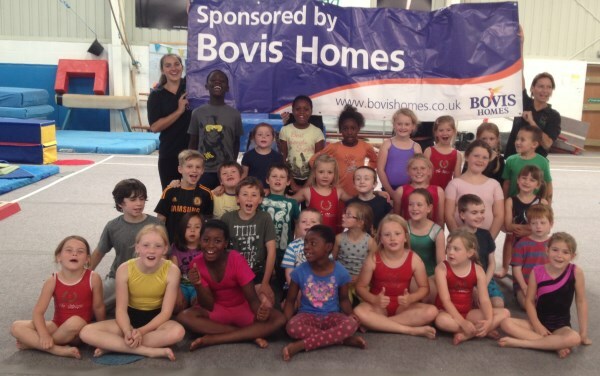 Bovis Homes was proud to sponsor a popular Gravesend gymnastics competition recently - and delighted that the young competitors lived up to the name of its nearby development. 'Aspire' is the name of the Bovis Homes development and there was plenty of aspiration, not to mention talent, on display at the Meapa Gymnastics Club's championships. With 217 gymnasts between the ages of three and 16 taking part, it's clear that the legacy of the London Olympics lives on in this corner of Kent, and with a £500 donation from Bovis Homes, there were plenty of medals and trophies to compete for. "Clearly there are some stars of the future right here on our doorstep, and I hope we have played some small part in helping them develop," said Bovis Homes regional marketing manager Deirdré Alldis-Waters . "As a responsible house builder we try and work with the communities where we are working wherever possible, and we were delighted to be able to help out Meapa, who do such great work with local children and young people."